T.S.Eliot (Thomas Stearns) was born in Saint Louis, Missouri in 1888. His father was a successful businessman, and his mother wrote poems. From 1898 to 1905 he attended Smith Academy where he studied French, German, Latin, and Ancient Greek. At the age of fourteen he began to write poetry, heavily under the influence of The Rubiyat of Omar Khayyam which enjoyed a vogue around that time. He published his first poem in the Smith Academy Record when he was fifteen. From 1906 to 1909 he studied philosophy at Harvard University, where he also discovered the poetry of Jules LaForgue, Arthur Rimbaud, and Paul Verlaine. and the French symbolists. He wrote some of his early poems, including ‘Portrait of a Lady’ and the beginnings of ‘Prufrock’ and published in the Harvard Advocate. He worked as a post-graduate teaching assistant in philosophy between 1909-1910 and then went to study philosophy at the Sorbonne in Paris. There he attended lectures by Henri Bergson and read poetry with Alain-Fournier. He then returned to Harvard to study Indian philosophy and Sanskrit, and was awarded a scholarship to study at Oxford University. The outbreak of war in Europe in 1914 cut short a visit to Germany and his plans to study in Marburg. 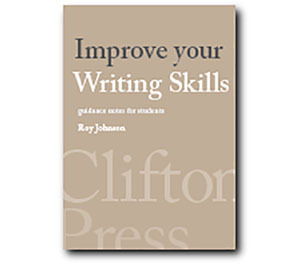 His short satiric poems. ‘The Love Song of J.Alfred Prufrock’ were published in Chicago, and in 1915 he married Vivienne Haigh-Wood, a Cambridge governess. By 1916 at Oxford he completed his PhD thesis on Knowledge and Experience in the Philosophy of F.H.Bradley, but he did not turn up for the viva voce examination. He became resident in London, and took up a number of jobs, including being a teacher, a bank clerk and assistant editor of the literary magazine Egoist. He also lectured at Birkbeck College which specialised in the teaching of adult students at the University of London. 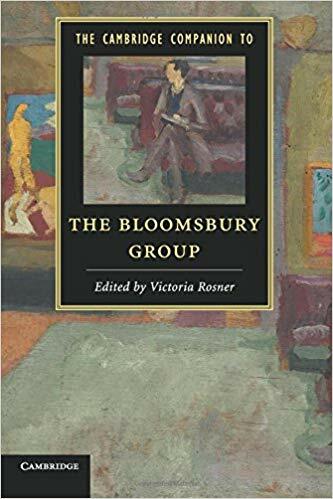 Bertrand Russell took an interest in Eliot’s work, introduced him to the Bloomsbury Group, and allowed the young married couple to stay in his London flat. This also gave Russell the opportunity to have an affair with Eliot’s wife. He also taught French and Latin at a private school in Highgate where one of his students was a young John Betjemann. In 1917 he took a job working in the foreign accounts department of Lloyds Bank. ‘Prufrock and Other Observations’ was published at this time. Then on a visit to Paris in 1920 he met both James Joyce and Wyndham Lewis, forming lasting friendships with both of them. He became the London correspondent for the American literary magazine The Dial. and editor of The Criterion in 1922 when it was founded with the financial backing of Lady Rothmere, the wife of Lord Rothmere, owner of the Daily Mail. This was a highpoint year for Eliot, with the publication by the Hogarth Press of The Waste Land. In 1925 Eliot joined the publishing firm Faber and Gwyer, which later became Faber and Faber, where he remained as a director for the rest of his life. Despite his literary success, Eliot’s private life was not happy, and he considered divorcing Vivienne, who was showing signs of mental instability. In 1927 he converted to a form of High Anglicanism and at the same time became a British citizen. Then when Harvard University offered him a visiting professorship for a year in 1932, he took the position, leaving Vivienne behind. On his return he arranged a legal separation from her and she was admitted to a mental hospital in Stoke Newington. He never visited her, and she died there in 1938. In the 1930s T.S.Eliot turned his attention from lyric poetry to the production of verse dramas. Murder in the Cathedral and The Family Reunion are open apologies for Christian religious belief. These were followed by essays and criticism which reaffirmed his belief in conservative traditionalism, then later The Cocktail Party (1949) and The Elder Statesman (1958). He was awarded the Nobel Prize for literature in 1948. 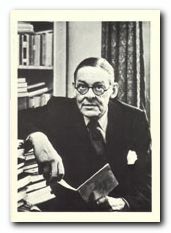 From 1946 Eliot shared a flat with his friend John Davy Hayward, who became his literary archivist, gathering many of the poems Eliot had written whilst a student at Harvard. These were not published until after Eliot’s death as Poems Written in Early Youth. In 1957 Eliot suddenly married his secretary at Faber – Esmé Valerie Fletcher, who was thirty-seven years younger than him. The marriage was held in secret at 6.15 in the morning. Hayward moved out, taking his Eliot papers with him. He dedicated them to King’s College Cambridge the following year. Valerie took over the role of literary custodian, and has dedicated her life to preserving a very tight control over Eliot’s papers ever since. In his later years Eliot suffered from ill health – bronchitis, tachycardia, and emphysema – all made worse by his heavy smoking. He died in 1965, was cremated at Golder’s Green Cemetary and his ashes taken to St Michael’s church in East Coker, the village in Somerset from where his ancestors had emigrated to America.